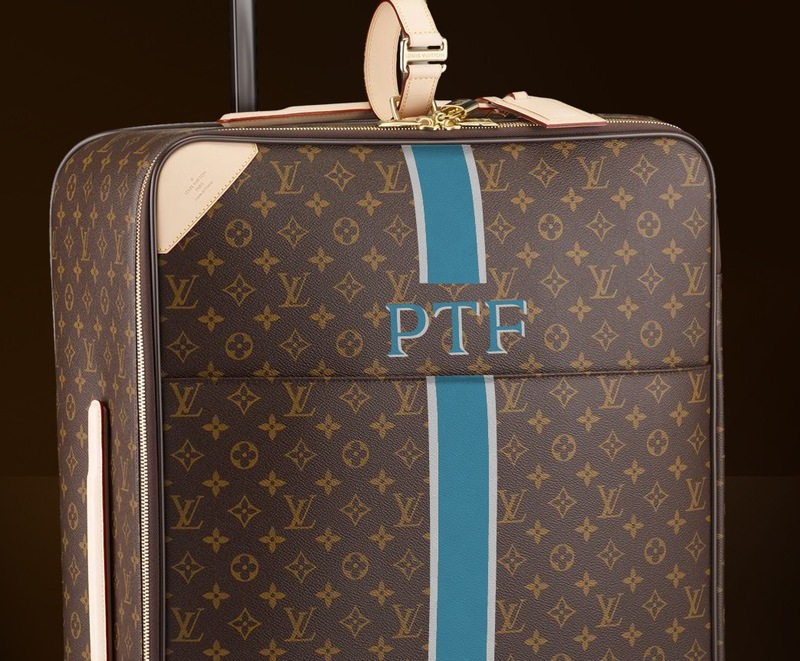 Vuitton Persona is an all-capital two-color custom fontdesigned for Louis Vuitton Malletier, a French luxury fashion and leather goods company. 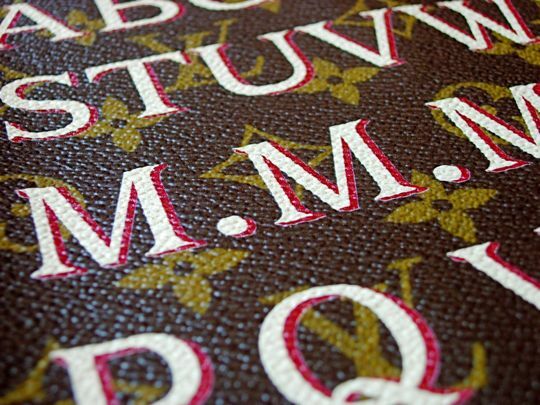 The typeface was designed to fulfil the needs of the Special orders department, “Mon Monogram.” Hand-painted stripes and monograms are part of the Vuitton heritage, and it was natural to apply this to new technologies. 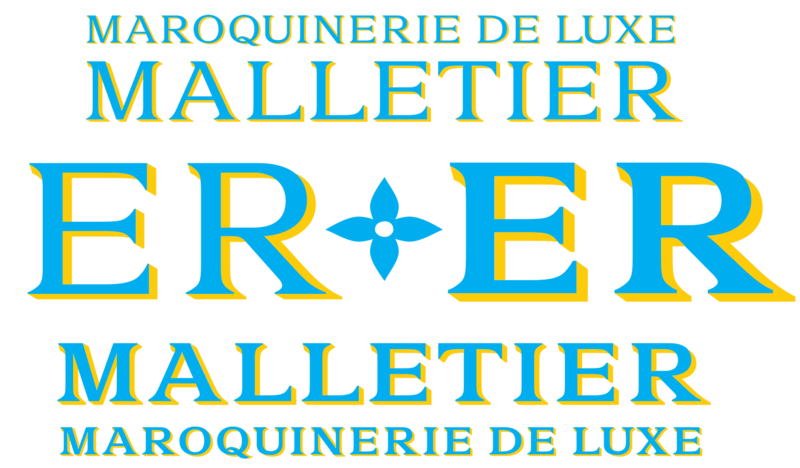 The new typeface was created in order to rediscover historical in-house letterforms from the early 20th century. 1. Vuitton Persona opticals sizes comparisons. 2. to 3. 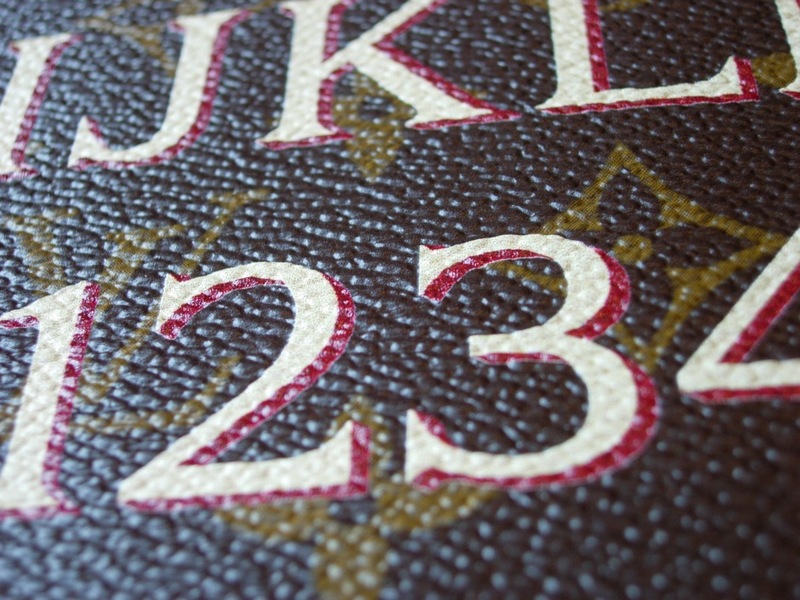 Vuitton Persona final testing on the Vuitton canvas. 4. to 5. 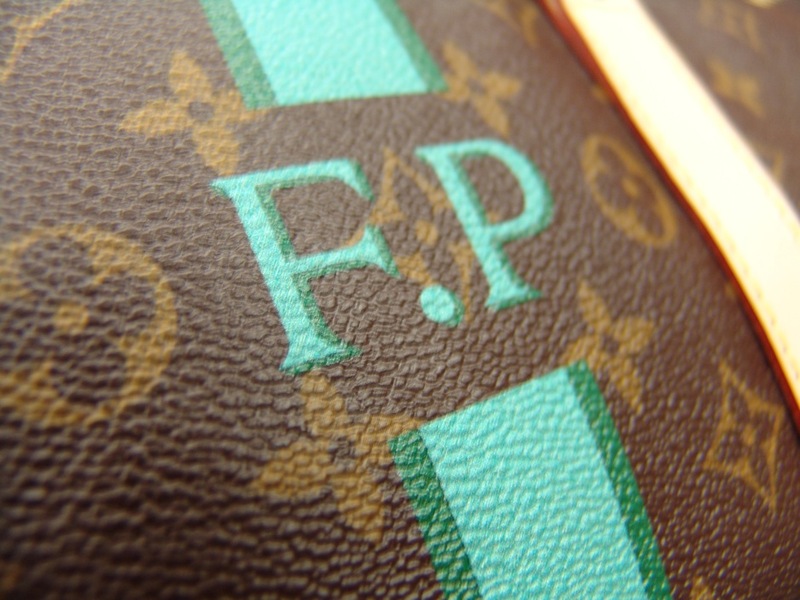 Vuitton Persona in use on Louis Vuitton bags. 6. 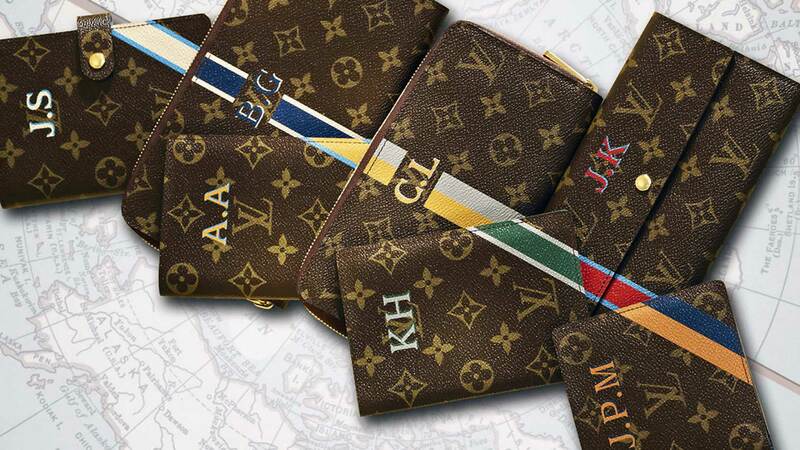 Vuitton Persona Small size version in use on Louis Vuitton purses. 7. 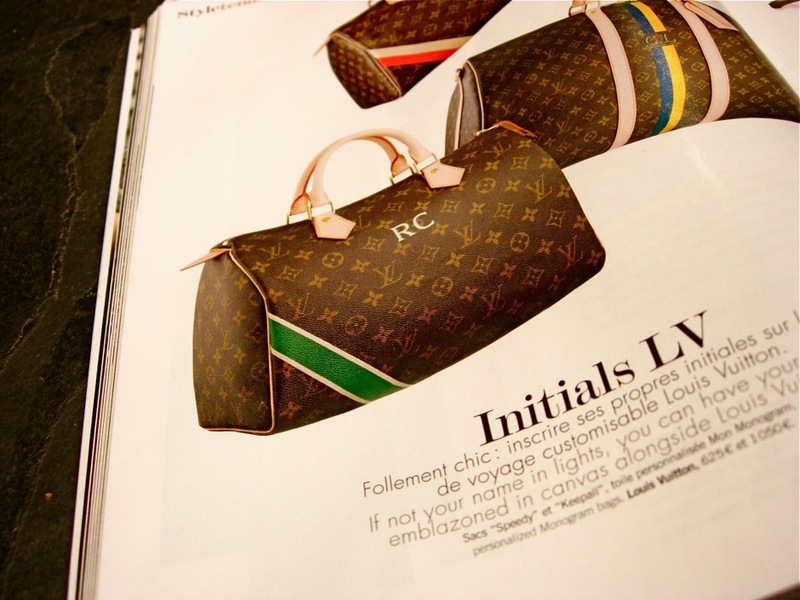 Vuitton Persona Mon Monogram collection featured on a fashion magazine. Press coverage. 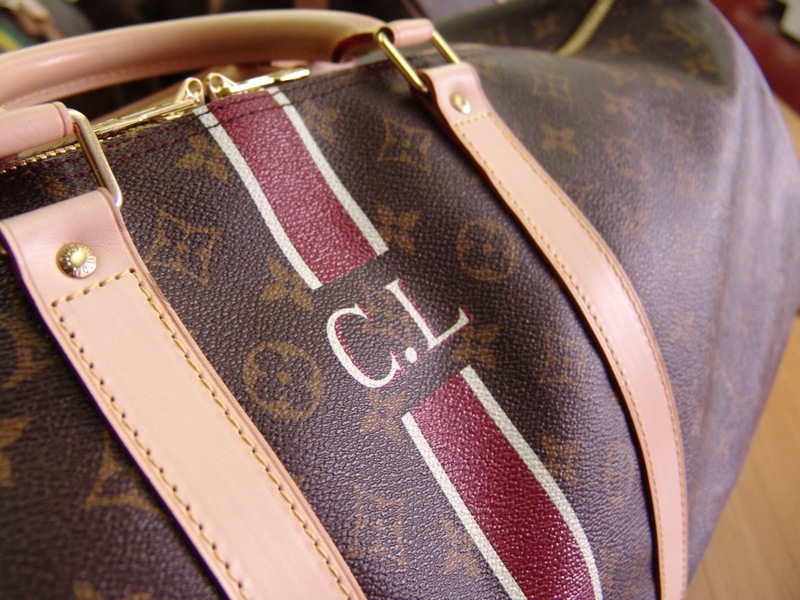 Check the LV album about Mon Monogram on Facebook.